This ATEQ OBDii Module can be added to any AirTech AT200 or ATEQ VT-55, ATEQ VT-56 Tool. 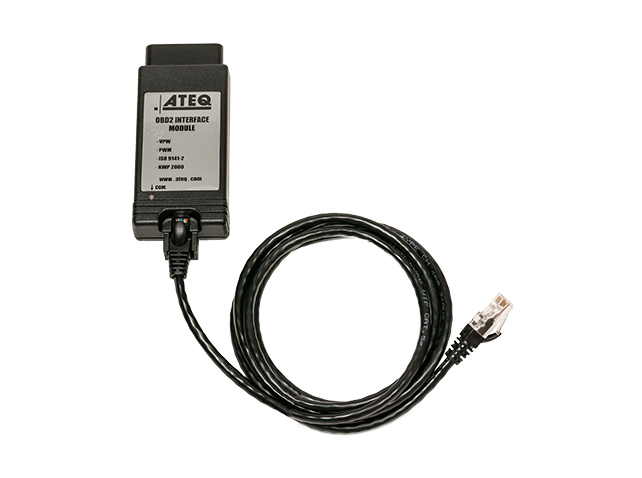 This ATEQ OBDii Module can be added to any AirTech AT200 or ATEQ VT-56 Tool. It is critical for any vehicle that requires a OBDii tool to perform the ReLearn procedure. Backed by hundreds of engineers and constant updates for new vehicles, it is now accepted as required by any tire store. It is true that it's use was limited to mostly import cars, but in 2018 even Ford and Chevy will be using OBDii ReLearns. An OBD2 module accessory is required for most Asian and European vehicles to enable relearn mode. Relearn mode enables a vehicle to copy the TPMS sensor IDs when a TPMS tool is used to activate or trigger a TPMS sensor. With the OBD2 module connected to the AT200 or VT56 tool, vehicles that do not have in-vehicle TPMS relearn systems can communicate with the ECU and reset the TPMS data to turn the light off. (This product is not compatible with the VT55). Displays OBD2 location on tool. Product contains: 1 OBDii Module, 1 Module to Tool Connector. Updates are included with Tool Update program.